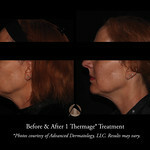 Thermacool TC has been studied in US clinical trials for treatment of wrinkles of the face. 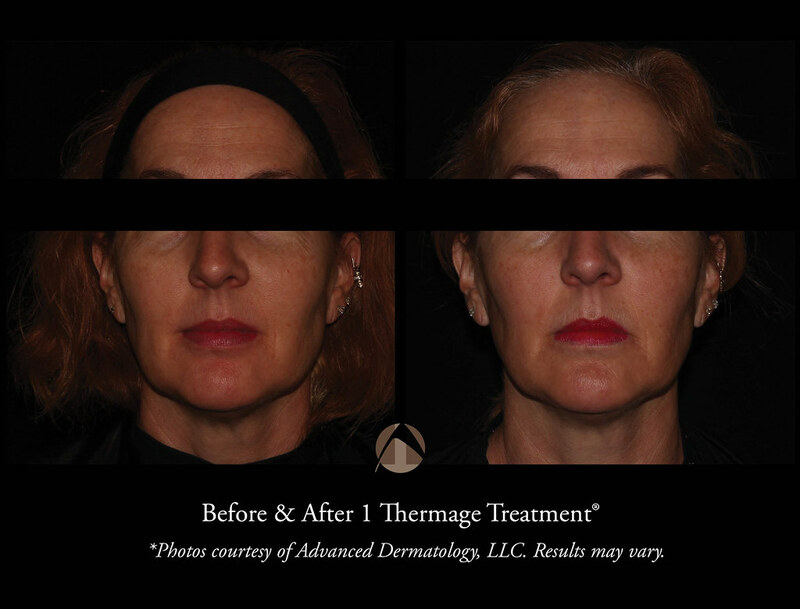 This system is currently cleared by the FDA for this indication and in 2006 gained clearance for the non-invasive treatment of additional areas that allow for Eyes by Thermage, Body by Thermage, Hands by Thermage, and Tummy by Thermage to now be available at Advanced Dermatology. For Eyes by Thermage plastic ocular shields will be inserted onto the eye for protection during the treatment. One eye shield will be inserted at a time to reduce anxiety or claustrophobia that could result during this treatment. 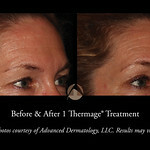 How do I know if I need Thermage? 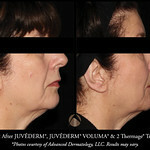 Anyone who is looking to tighten and lift their jowls, neck, cheeks, and forehead is a good candidate. Also lax skin on the eyelids, a heavy brow, or upper eyelid drooping, as well as lax abdominal skin, upper arm skin, or lax buttocks or thighs may benefit from these treatments. In some cases we also find patients with superficial acne scars, rough skin texture, and mild to moderate superficial wrinkles can gain improvement with these treatments. You must understand the risks, costs, and time necessary to achieve the full benefit of the procedure(s) and have realistic expectations of the ultimate outcome. You should not have treatment with any of these devices if you are pregnant or have been on Accutane within the past 3 months. If you have a pacemaker, internal defibrillator, or metal implants you may not have radiofrequency treatments. If you are diabetic, have autoimmune disease, have recently been treated with chemotherapy, or are over 65, you may need more treatments to achieve less effect due to possible slow collagen production. You may not undergo Eyes by Thermage if you have recently had Lasik or eye surgery without permission by your ophthalmologist. Patients with a history of HSV (cold sores) may have a flare after a treatment. We can prescribe prophylactic medications prior to treatment. 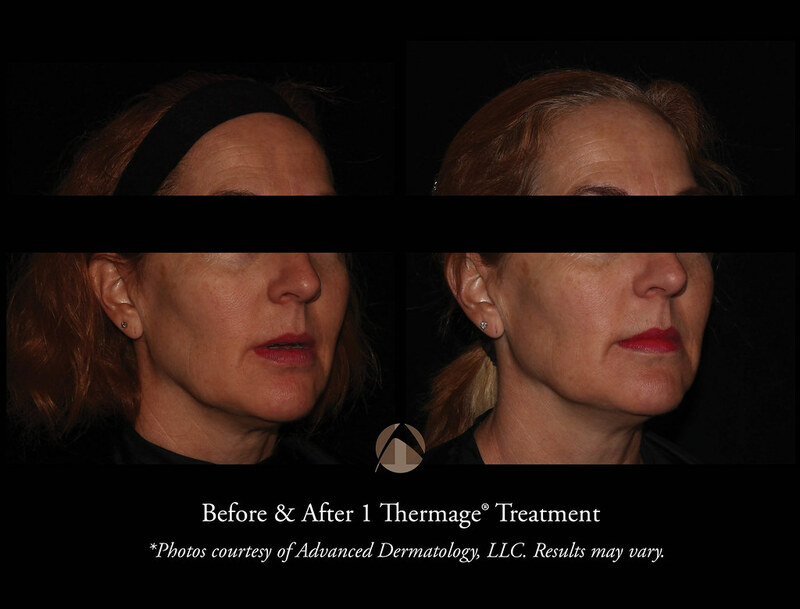 Thermage uses light and radiofrequency energy to activate fibroblasts that signal new collagen to form and existing collagen to tighten over time. 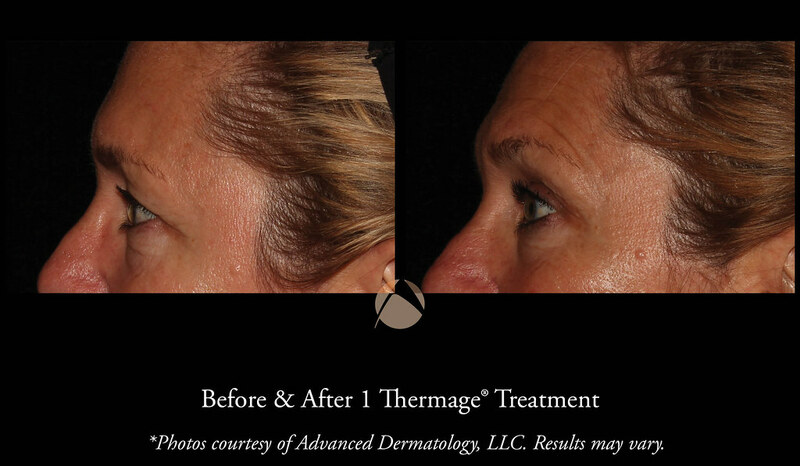 This process gives the skin a more youthful, tightened, and wrinkle free appearance. 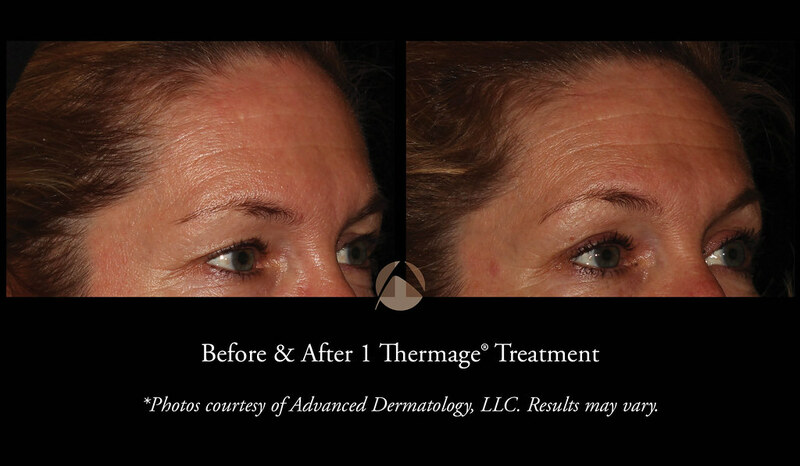 For Eyes by Thermage, expect less wrinkled eye skin, less hooding of the upper eyelid area, and a firmer contour around the eye. For Body by Thermage™, Tummy by Thermage or body tightening procedures with Titan you can achieve toning of the abdomen and reduction of laxity, toning and narrowing of upper arm or thigh. It is important that you understand that the results may take up to 6 months to be appreciated and that they are not expected to achieve the same degree of improvement as surgical procedures. 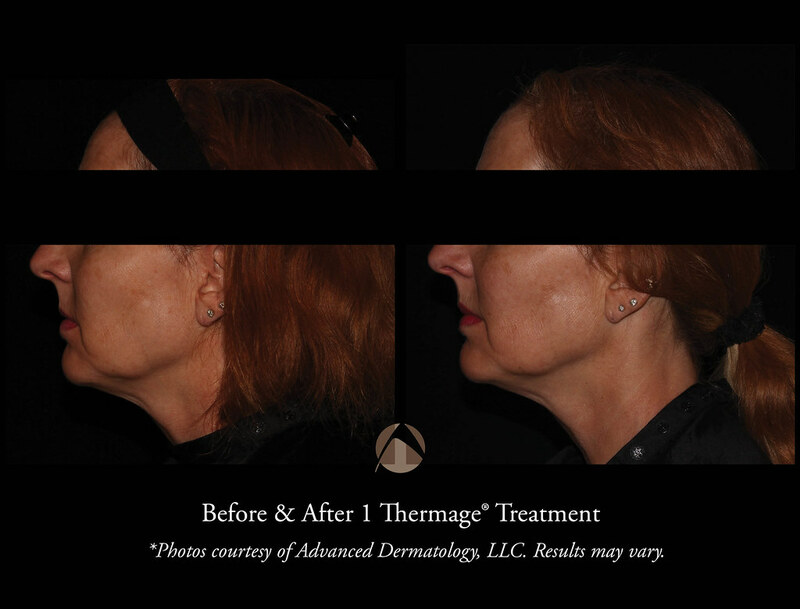 Some patients have significant results with just one Thermage procedure, but one to three repeat treatments may be needed for others to achieve the same improvement. 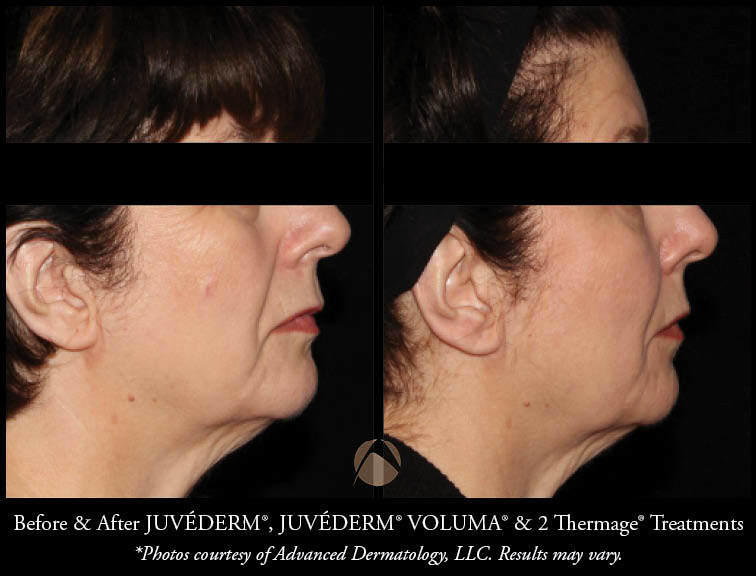 The mild discomfort and lack of definite immediate improvement are the most commonly noted negatives for tissue tightening. 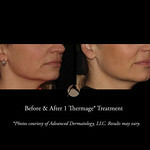 The protocol methods for performing tissue tightening treatments have changed since the release of these devices. The discomfort has decreased with these changes and the chance for more immediate improvement has increased. 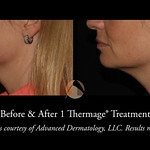 To evaluate results, we have patients come in for follow-up evaluations visits six months following the treatments. Short-term immediate risks include prolonged redness at the area being treated, although this usually dissipates before you leave the office or within a couple of hours. Swelling can occur and could last for a few days to a week. In some rare instances, swelling and redness have lasted several weeks. The treatment area may also become temporarily white (blanching) following a treatment. Blanching typically resolves within 24 hours. Nobody is sure how long the effects last. We know that most people get at least 1-2 years of effect from their procedure but no definitive studies on long-term effect have been undertaken. There is a very low chance (less than 1%) that other side effects may be experienced. The potential other side effects are bruising, skin wound, infection and scarring, hypo (too little) and hyper (too much) pigmentation, alter sensation, and surface irregularities. 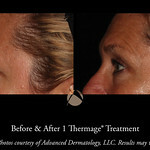 Patients may also experience claustrophobia while receiving Eyes by Thermage procedure. We do our best to limit this side effect by using one ocular shield at a time while providing this treatment. 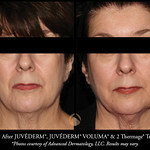 How will I look and feel before and after Tissue Tightening? 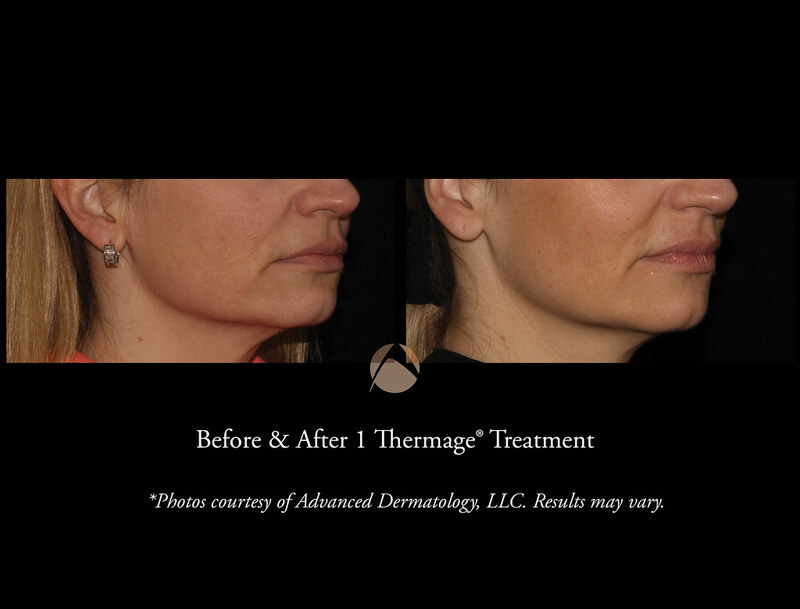 Immediately after the treatment(s), there may be some redness or swelling at the area being treated, which usually dissipates within the hour or by the end of the day but rarely persists for a few days. 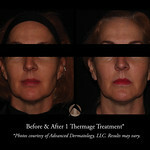 You should be able to apply makeup or sunscreen immediately after the procedure and go back to your daily activities. 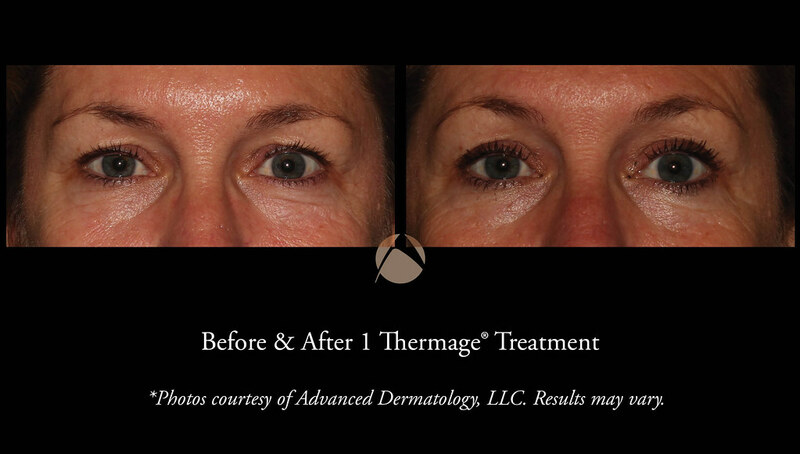 For Eyes by Thermage, it may take a couple of hours before your eyes do not feel sensitive to light and you may have some swelling for 1-2 days. We also do not recommend any eye makeup application for at least 2 days after this treatment. The main alternatives to tissue tightening are surgical (blephroplasty or eyelift, face-lift, tummy tuck, and other surgical skin tightening options), liposuction, injectable fillers, BOTOX Cosmetic, and the Pan G Lift (muscle stimulation device). 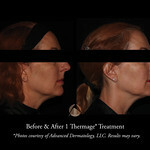 These treatments help to firm and tighten skin laxity by allowing for new collagen production and tightening. 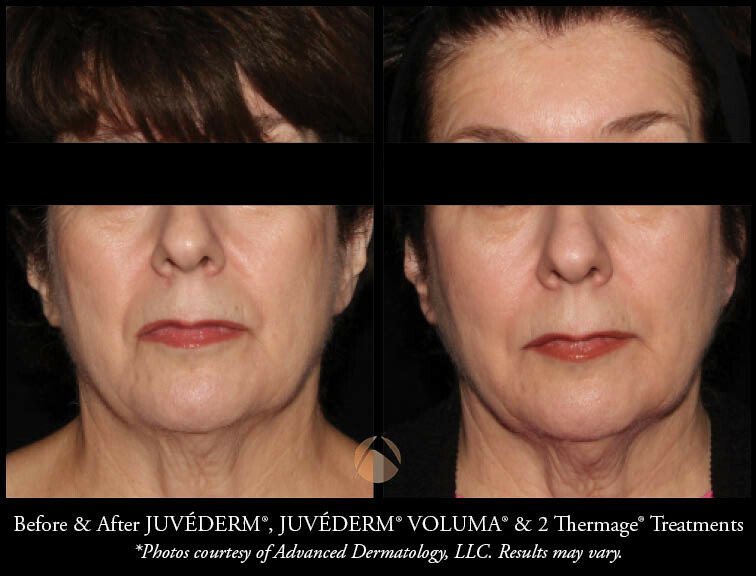 Alternative methods will help tighten and lift muscular atrophy (the Pan G Lift), plump and fill in lines and folds (injectable fillers), relax depressive muscles to achieve a brow-lift (BOTOX Cosmetic). Surgical procedures cut through excess tissue and remove it, suturing the remaining back in place. These treatments may be combined with other treatment methods or may be done individually. BOTOX Cosmetic and injectable fillers are commonly combined to achieve a more dramatic effect than by itself. 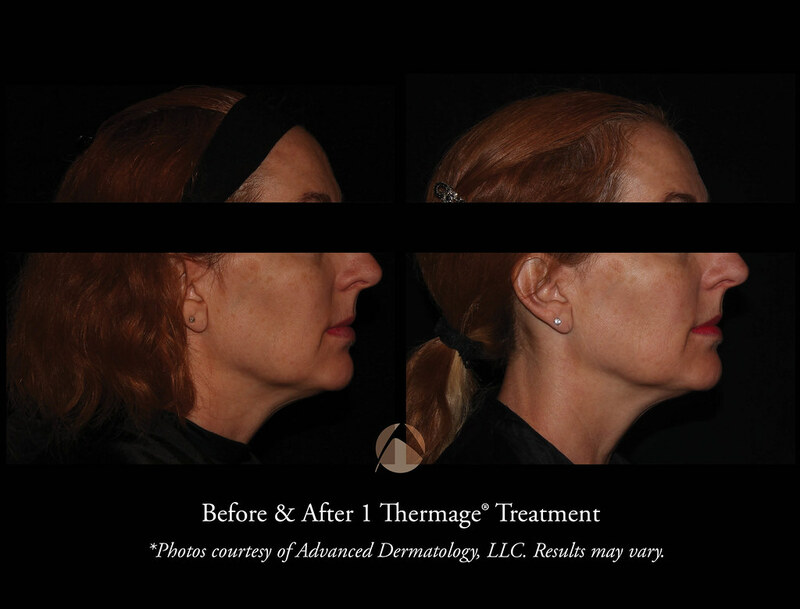 Virtually any procedure (even post or pre-surgery) may be combined with tissue tightening. 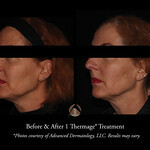 Also tissue tightening does not preclude you from having additional treatments in the future or undergoing surgery. 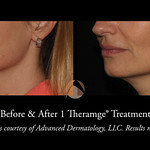 What is the cost of Tissue Tightening? The cost of these procedures is based on the area being treated. 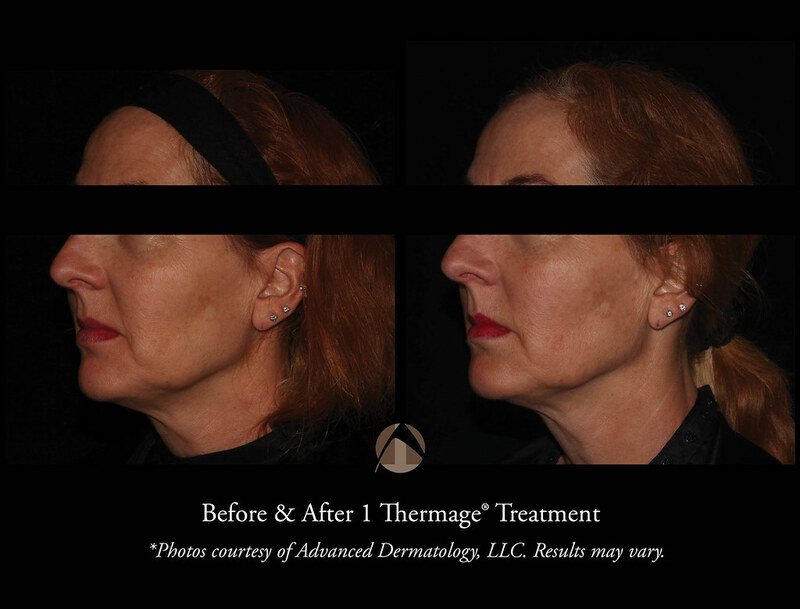 To learn more about Thermage, please call 847-459-6400 or contact us to make an appointment with one of our cosmetic coordinators. 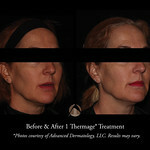 Thermage is indicated for the non-invasive treatment of wrinkles and temporary improvement in the appearance of cellulite. 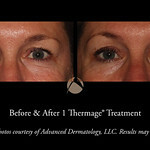 In addition, Thermage is FDA approved for non-invasive, energy-based eyelid treatments.